Now available in five juicy colors! The patented Zoku Quick Pop Maker freezes ice pops in as little as seven minutes right on your counter top without electricity. 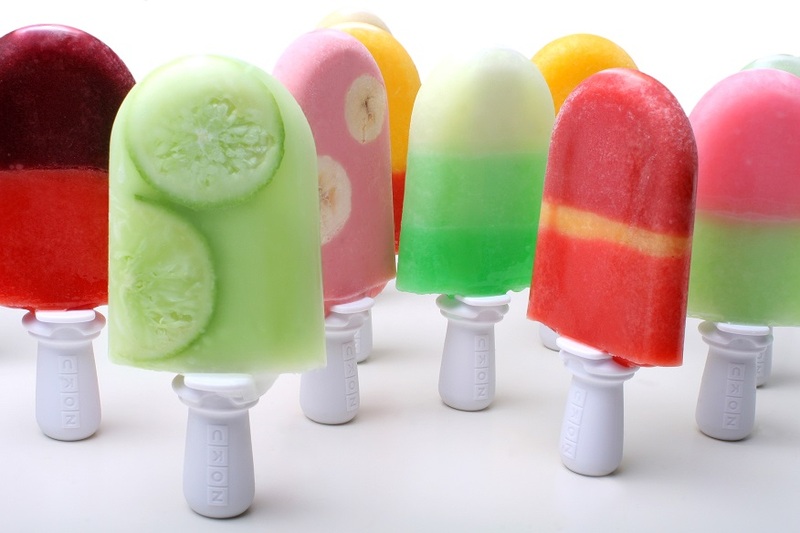 Quickly make striped pops, yogurt pops or (for the first time ever at home) flavored core pops. To enjoy Quick Pops at a moment’s notice, simply store the compact base in your freezer. can make up to nine pops before refreezing the unit again.